Washington’s legal pot industry is divided over allowing out-of-state owners. Some see it as a helping hand to homegrown businesses, others say it could propel factory farms and a federal clampdown. “The funds we could use to create more jobs and tax income for our state instead will go to states like Colorado and California,” said Gress, a former editor at Pulp & Paper International magazine. At a recent hearing in Olympia she told lawmakers that out-of-state investors have approached her but want a stake in her farm that state law now prohibits. 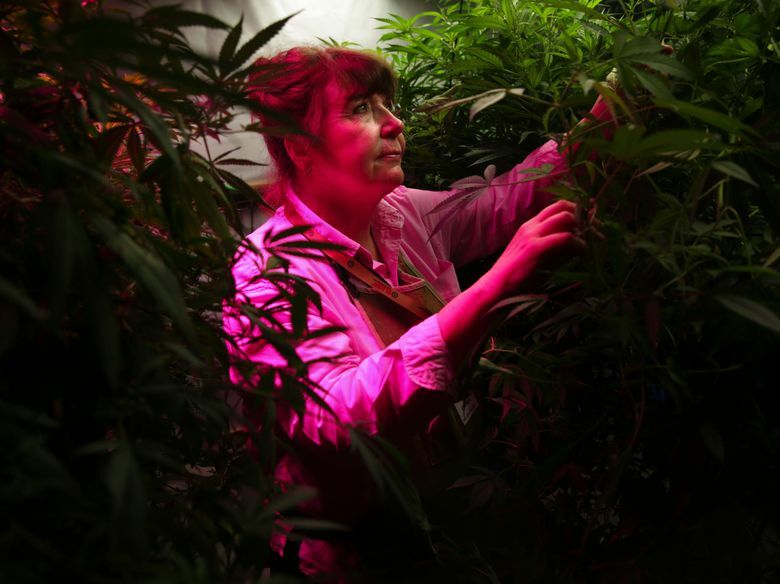 Washington’s pot industry, designed to be homegrown and open to mom-and-pop farmers, is split over out-of-state ownership. On one side: those who say outside investors, who demand an equity stake for their money, are needed to sustain some small companies. The other side: those who assert that outside owners would put the entire industry, which has wrapped itself in states’-rights arguments, at risk — an acute concern because the Trump administration has not signaled how it will treat legal marijuana. “Out-of-state ownership could incentivize federal scrutiny. It hinges on what the new administration prioritizes when it comes to marijuana enforcement,” said Hilary Bricken, an attorney who specializes in legal marijuana. Bricken said her clients are divided on the issue. Gaston argues that the residency requirement for all owners in Washington’s legal pot law is deliberately protectionist. And Gaston believes strict laws, including residency requirements, have helped keep the feds from cracking down on the first two states — Colorado and Washington — that began selling legal weed in 2014. In allowing those experiments, the Obama administration Department of Justice (DOJ) laid out eight priorities that states must respect. One of those priorities was to prevent legal weed from being diverted to other states; another was to keep legal pot revenue from going to gangs and criminal enterprises. Advocates for out-of-state ownership — which would be limited to a 49 percent stake in a company — say the DOJ priorities do not mention interstate ownership as a concern. 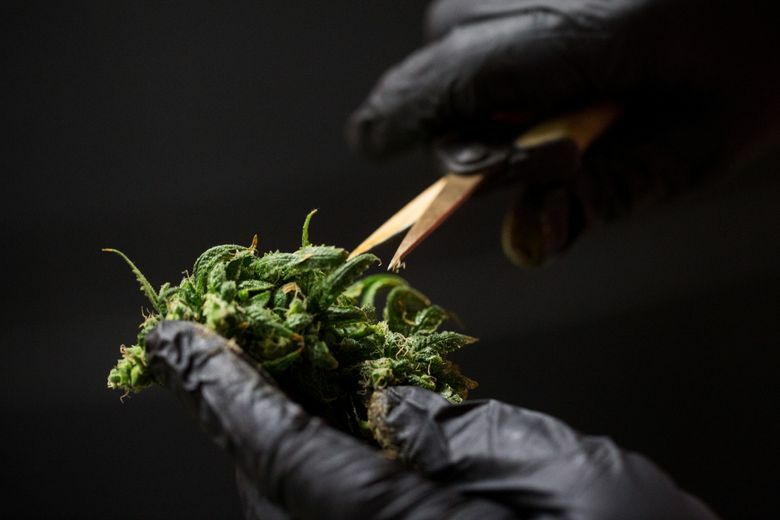 Bills now in the state Senate and House “don’t allow any product to leave the state,” said Vicki Christophersen, executive director of the Washington CannaBusiness Association (WACA), an industry group pushing the proposal. Colorado, as well as Oregon, which began selling legal weed in 2016, now allows out-of-state owners, Christophersen noted. “It hasn’t been a red flag to date with other states,” she said about the DOJ. Every out-of-state investor would still have to go through Washington’s background check, she said. But Gaston and others have a different concern: They argue that Washington growers now produce more pot than is sold. If outside money is injected to help Washington farms get bigger, that increases the risk that farmers struggling with competition might feel pressure to do something unsavory, such as illegally divert pot to other states. And that could incur the DOJ’s wrath. “Our state as a whole doesn’t need it. Business is already over-expanded. 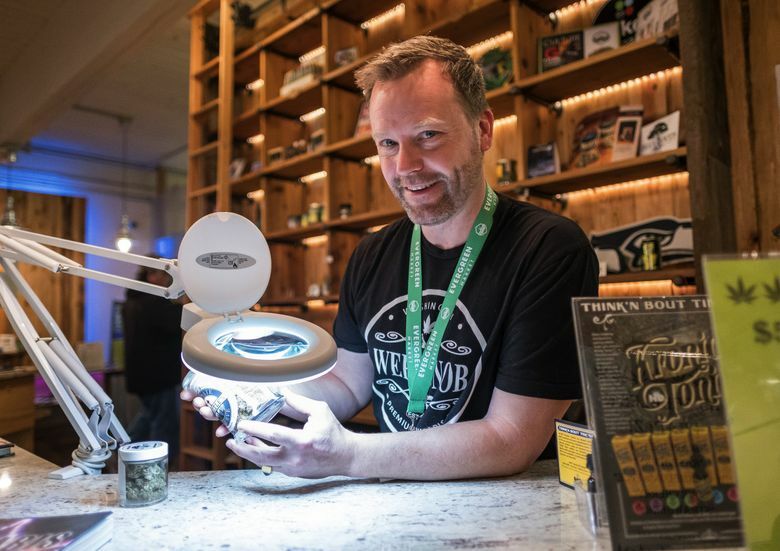 We’d make the risk of diversion worse,” said Logan Bowers, owner of a Seattle pot store and president of another industry group, the Cannabis Organization of Retail Establishments (CORE). Uncertainty about the Trump administration’s view of marijuana led an Alaska marijuana regulator to cast a decisive vote Thursday against a proposal to allow pot-smoking in legal pot stores. State regulators at the Liquor and Cannabis Board (LCB) are neutral on the proposal — as long as out-of-staters are U.S. citizens, don’t own a majority share, and the LCB has authority to reject an ownership application for insufficient information, said agency spokesman Brian Smith. The bills in the Legislature, which would allow 50 percent out-of-state ownership, should be amended, Christophersen said, to meet those conditions. One pot-industry lobbyist who had been advocating for out-of-state ownership, Ezra Eickmeyer, said he will stand down on the proposal this session, and wait until the industry has a better read on the Trump administration’s plans. Investment for big or little guy? Last year the state changed rules to allow out-of-state loans to Washington’s pot industry, but lenders cannot have an equity stake or decision-making authority. Christophersen’s group, WACA, last year opposed out-of-state ownership. Some smaller businesses in WACA were concerned, she said, about a corporate takeover of Washington’s decentralized industry, which has, so far, licensed 1,124 growers and 479 retailers. But those same entrepreneurs realized, Christophersen said, that they couldn’t attract investments in their risky industry without offering some stake. Some local owners also had problems getting loans from banks because of the ongoing federal prohibition, she said. “Those are the ones that are struggling, the mom-and-pop ones that changed their position. They had to turn away investors and realized they were disadvantaged by that,” Christophersen said. Gaston and Bowers see Gress and smaller WACA members as a fig leaf. They note that the state’s first and third biggest growers, Northwest Cannabis Solutions (NWCS) and BMF, are front-and-center advocating out-of-state ownership and testified alongside Gress. “They’re trying to paint this as the savior of the little guy,” Gaston said. Ian Eisenberg, owner of the Uncle Ike’s brand of stores, said out-of-state private equity firms are not likely to invest in small farms. “I could see 10 to 20 producers that would crush little growers. It’s just opening the door to factory pot — and I’ve got nothing against factory pot,” he said. Jerry Derevyanny, general counsel for NWCS, declined to comment for this story. Christophersen maintained that WACA’s 75 members represent big and small companies, producers and retailers. Their position was reached democratically, she said, and all of WACA’s retailers support the out-of-state legislation. She said that CORE — with 34 members, according to Bowers — represents a small section of the retail industry and most of its members are “doing quite well,” such as Eisenberg, who has stores in White Center and Seattle’s Central Area and Capitol Hill neighborhoods.